Compass Rose Bar & Grill | NetClimber Web Design Inc.
Point Roberts Marina, a current client of NetClimber, came to us with a new business that was in development. Their dream of having a full-service restaurant was becoming a reality with the Compass Rose Bar & Grill. 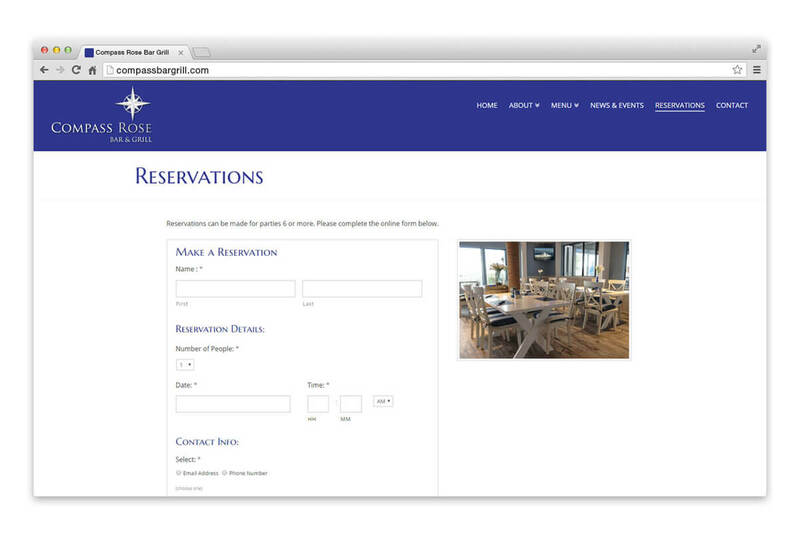 They needed a restaurant website that would show off this great new dining option in Point Roberts, Washington. They also wanted it to look and operate like their master site at www.pointrobertsmarina.com, a website NetClimber developed in 2015. An added feature on Compass Rose was a News and Events area that the client could utilize to keep customers updated. Their promotional materials would be posted here like blog items, keeping the locals and the Canadians across the border up to date on what’s happening at this great venue. 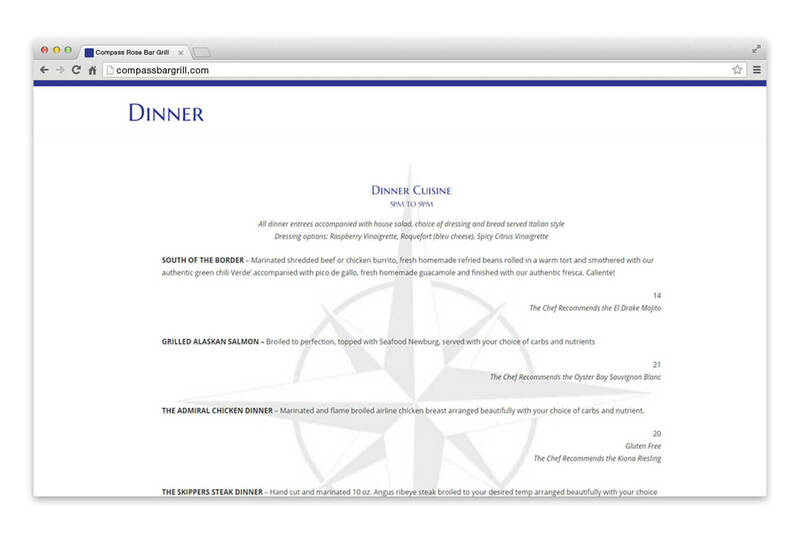 To display Compass Rose’s menu items, the website utilizes the powerful page builder, Cornerstone. 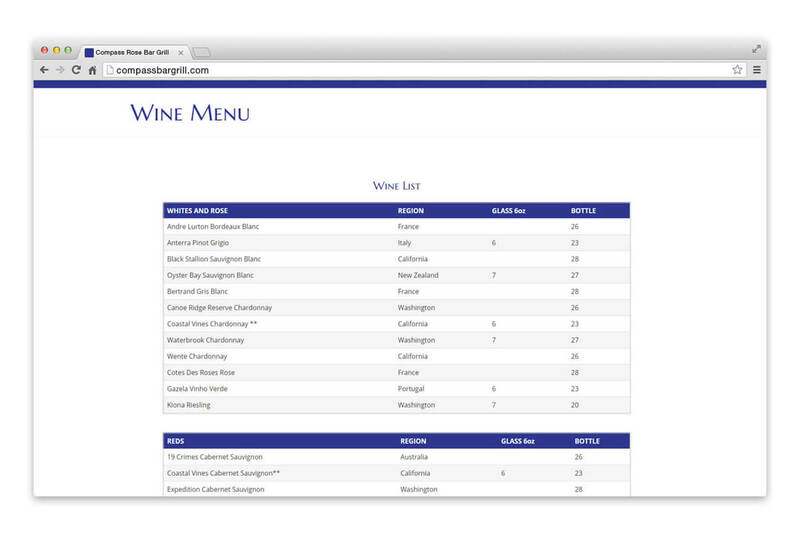 Cornerstone allowed us to build the menu pages that look identical to the menu they use in the restaurant. 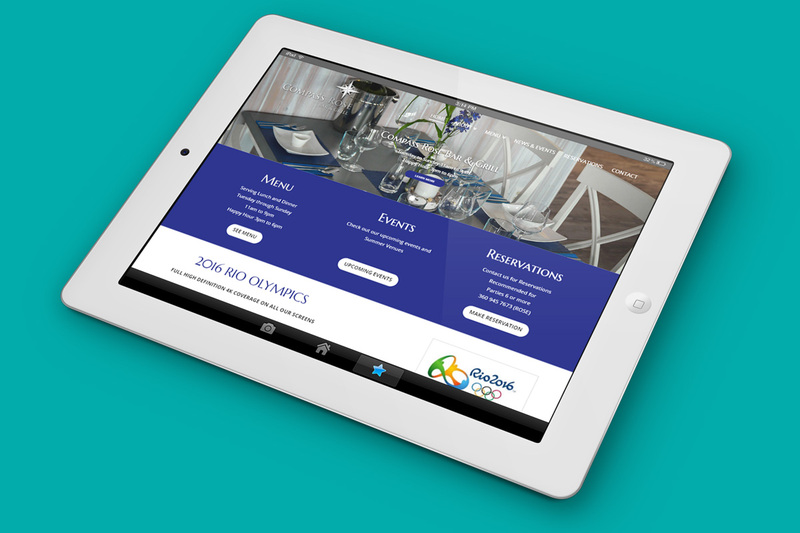 Having had some previous experience working within WordPress on the Point Roberts Marina website, the client caught on quickly to the Cornerstone Page Builder. They were able to add all their content and with the addition of some great photography, the website became alive – looking professional and inviting.